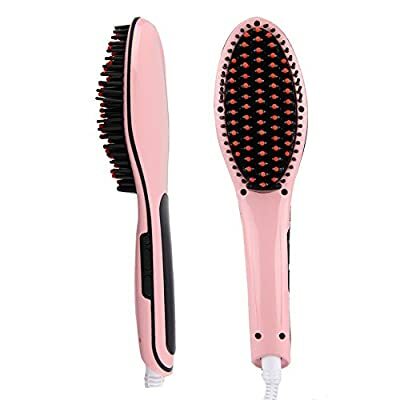 4 in 1 function: Anion hair massager + ceramic iron straightener + detangling comb + fashion appearance, the perfect combination of the four together, Portable and powerful, easy to care your hair at home or travel. 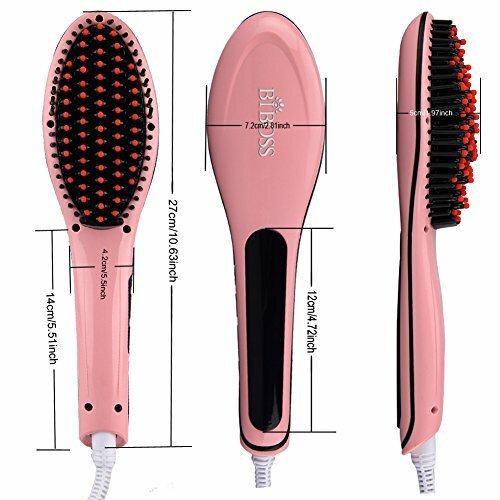 The brush helps you to solve bad hair days on a daily basis. 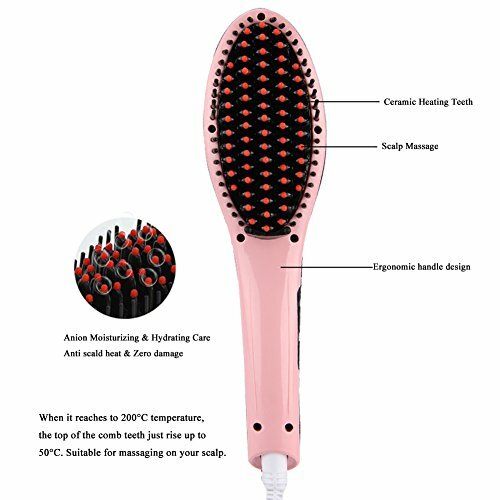 Designed with precise temperature control to guarantee anti scald and anti static, can reduce the amount of negatively charged particles during styling, easily solve hair knotting, reduce pain and hair broken, and repair the hair style and keep the hair healthy. Temperature: 140-446 Fahrenheit (60-230 centigrade). 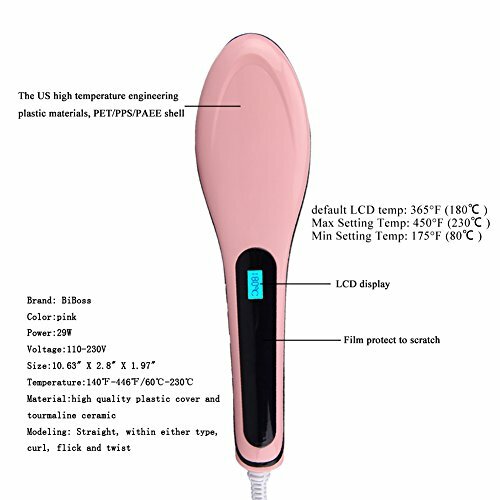 Auto Keep Constant Temperature at 365 Fahrenheit (185 centigrade)) for All Types of Hair, Customized Set 410 Fahrenheit (210 centigrade) for Natural Texture Hair, 446 Fahrenheit (230 centigrade)) for Thick or Wavy Hair, Effortless and Efficient Straightening Styling. 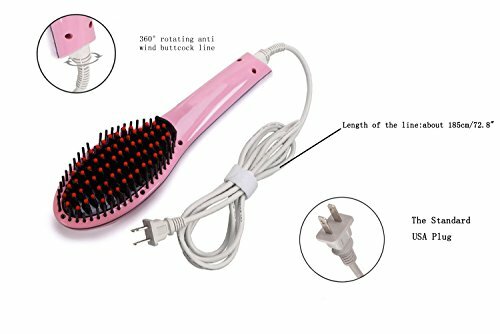 360 Degree Rotatable Wire: it avoids the wire twining; clean and brushing action reduces the risk of dry damaged hair, ergonomics design for easy to hold and use, keep from burning your fingers and your skin. A combination of hair straightener and comb, it can help solve your hairstyle problem and support head massage without any harm, built-in automatic constant temperature and fast heating technologies.